West Bengal; cultivated in many parts of India. English :- Tree of Sorrow, Night Jasmine, Coral Jasmine. 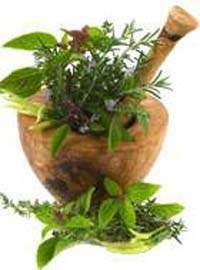 Ayurvedic :- Paarijaata, Shephaali, Shephaalikaa, Mandaara. stimulant. Used for fevers, rheumatism, obstinate sciatica. friedelin and lupeol. The seeds containa polysaccharide glucomannan. comparable to standard drugs used for allergy and bronchial asthma. stimulation of antigen specific and non-specific immunity in mice. The 20% ethanolic extracts of the leaves, flowers, seeds and roots were found effective in treating caecal amoebiasis caused by Entamoeba histolytica in rats. But the extracts did not exhibit direct amoebicidal activity in vitro against trophozoites of the parasite. The iridoid glucosides showed antileishmanial activity both in vivo and in vitro. Dosage :- Leaf—10–12 ml juice.